Adventurous Love: NO SECRETS NEEDED–Book Blast and Giveaway! Hi there! 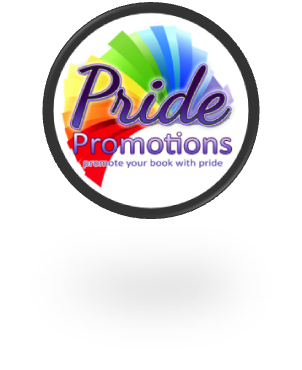 I’d love to share an excerpt and giveaway in support of Ann Anderson’s new fantasy M/M romance. NO SECRETS NEEDED is the second book in her New Beginnings series, and is recommended to be read in order. Catch the excerpt below, and enter to win a copy of FROM LIES, the first book in the series. After bidding farewell to his family and Trint, the man he’s come to care for, Rafe heads out to sea, free to be himself for the first time in his life—free to learn himself, away from the constraints and trials of his mother, away from the terrible person he believed himself to be while forced to live with her. When Rafe returns home his family is waiting for him—but there’s no sign of Trint. With a little push from his ward, Rafe decides to be bold and go after what he wants, though he fears in the end that all his efforts might still not be good enough to overcome the past and the secrets that have controlled so much of his life. Rafe rose and stood beside his bed, the dagger clutched tight as he waited for some indication that they were searching his ship. Who they might be, he wasn’t sure. They shouldn’t have been too far into unclaimed water, and as far as he knew, no pirate or enemy to their kingdom would attack so close to claimed water, but he could be wrong. There was always a chance for some war to crop up, even in these peaceful times. The fighting sounded to have stopped not long after he woke, but Rafe waited until there was a knock at his door, and Captain Manis poked his head into the room, before moving, following him onto the deck to take stock of the damage. “This shouldn’t have happened,” one of the men whispered as he hefted a body and placed it into a pile near the bow of the boat. Rafe didn’t say anything as he cast a glance at Captain Manis. His mouth was pinched, eyes hard as he led Rafe to a group of men, no older than boys, and stopped, arms crossed as he scowled at the defiant figures. Rafe waited, but when Captain Manis didn’t say anything, he stepped forward. Rafe’s friends are also his employees, which creates a bit of a gap between them, but he’d do anything for them, even go on an adventure that could mean he’d lose his chance with Trint. Rafe’s favorite meal is breakfast because there’s a kind of calm even when there are kids running around and the whole day is there before him. Attending events with other nobles where everyone hides behind the mask of politeness. Interested? 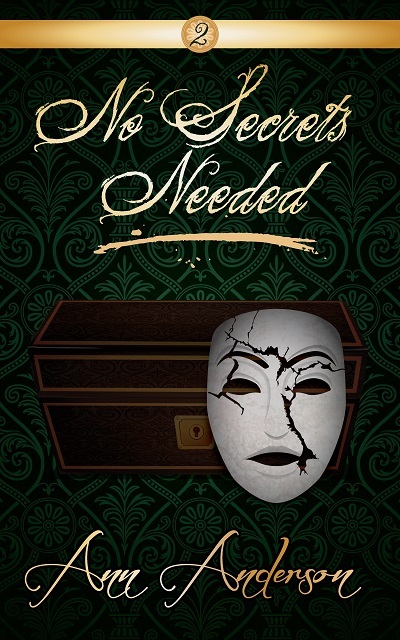 You can find NO SECRETS NEEDED on Goodreads, Less Than Three Press, and Amazon. Click on this Rafflecopter giveaway link for your chance to win a copy of FROM LIES, the first book in the New Beginnings series. Ann Anderson enjoys long walks through wooded areas, hunting zombies, and stealing treasure from space pirates. Only the first happens in real life. Besides allowing her imagination to run rampant, Ann loves editing and is glad she’s been able to make a small career of it while following through with her other passion of writing. Her cats can attest to both passions as they enjoy knocking the laptop from her lap and claiming the space as their own whenever Illinois weather drops to a reasonable degree. You can find Ann on Facebook and Goodreads.